Disney Work From Home Job: Customer Service Positions Now Available! Disney is currently hiring for work from home guest services representatives. What could be more ideal than a Disney work from home job? You can also find how to work for Disney from home in other ways too. This work at home job for Disney is responsible for engaging and providing guests with an entertaining experience in a work from home environment. This is a full-time or part-time, non-exempt position. You will answer inbound calls and assist guests with online purchases for the Disney Store. What is the Disney Store? For those unfamiliar with the Disney Store, it is basically the retail chain of Disney merchandise. You can find anything from Disney clothing, toys, and even home decor. There used to be many retail locations across the country but now it operates mostly as an online store. Previous work from home or customer service experience is a definite plus! 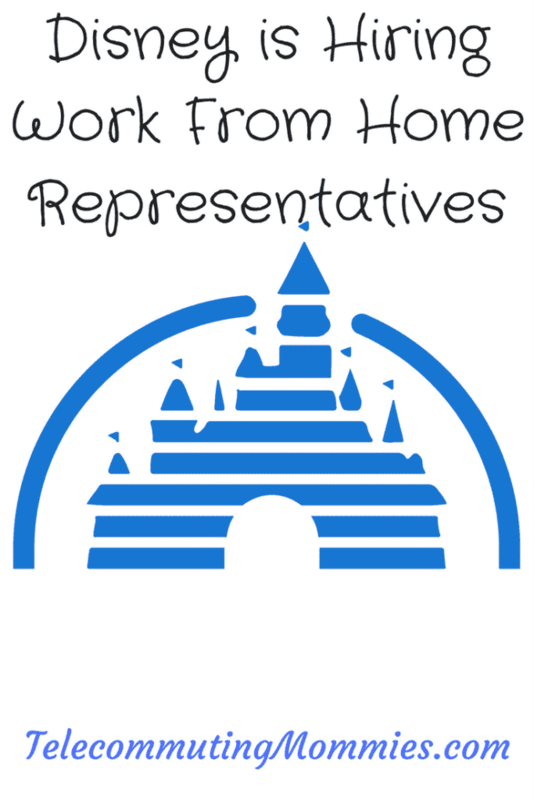 What Will I Do as a Disney Work From Home Guest Services Representative? This position takes incoming phone calls for the Disney Store customer service. This includes helping customers place orders or assisting them with any issues they are having with their orders. The position also includes helping customers through email as well. How Do I Get Hired for a Disney Work From Home Position? Disney hires for these positions frequently so if you do not see the position listed on their job site then check back soon . Visit their job site at https://jobs.disneycareers.com and search “Guest Services Representative- Work from Home” in the search box to see any current listings. Positions are usually available in Florida, Illinois, Kentucky, Mississippi, Nevada, South Carolina and Texas. You should be open to working evenings, weekends and holidays. You must have your own computer that meets requirements along with high speed internet and a landline phone. Visit the job listing for updated information on these requirements. For other positions similar to this you can try FlexJobs. Every job listing is hand screened and 100% verified. For a list of more companies that hire for similar positions visit the work from home companies page. Interested in other ways to get a Disney work from home job? Check out my posts on Disney Jobs from Home, Disney Parks Mom Panel, and How to Work for Disney from Home. This post may contain affiliate links but I only share work from home information I believe valuable to my readers.